Election season is one of the busiest times of the year for the secretary of state’s office. The integrity of our elections is paramount to me because our right to vote is so central to our democracy. I hope that everyone plans to exercise that right so that your voice can be heard! Early voting began on Tuesday, October 23rd and runs through Tuesday, October 30th (excluding Sunday, Oct. 28) from 8:30 a.m. to 6 p.m. You don’t need a reason to vote early so consider taking advantage of this alternative method in order to miss the long lines expected on Election Day. 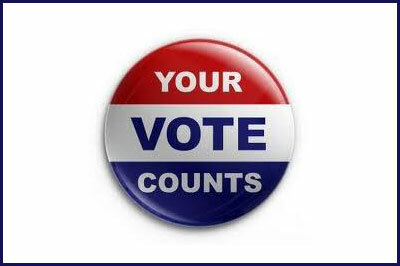 Early voting is held at each parish’s Registrar of Voters’ Office and other designated locations in the parish. For a complete list of early voting locations, visit:http://www.sos.la.gov/Home/Elections/EarlyVotingInPerson/EarlyVotingLocations/tabid/984/Default.aspx. If you don’t vote early, you have a 14-hour window to do so on Election Day—November 6th. Polls open at 6 a.m. and remain active until 8 p.m. Items on the ballot include the presidential race, the congressional primary as well as nine state constitutional amendments. Additional local races and propositions are also on ballots throughout the state. Voter turnout for the past three presidential general elections was 67.23 percent (2008), 66.9 percent (2004) and 63.5 percent (2000). We predict this year’s turnout to be 65-70 percent based on this historical data. In the tri-parish region comprised of St. Martin, Iberia and Lafayette parishes, turnout averaged 70.18 percent (2008), 69.6 percent (2004) and 65.7 percent (2000). Download our free smartphone app, GeauxVote Mobile, for iPhone, Android or mobile viewing. The app allows voters to check their registration status, view their sample ballot, find their polling place and view their elected officials. Remember that anyone in need of assistance can also call the secretary of state’s voter hotline at 800.883.2805. Consider participating in our Honor Vets Vote program by visiting our website at www.sos.la.gov/honorvets and entering the name of a military serviceman—past or present. This program is a way to pay tribute to those who fought and sacrificed for our freedom, including our right to vote. You’ll receive a certificate in honor of the veteran you designate, a lapel pin and a bumper sticker. Join me on Election Day in celebrating our right to vote and participating in our great democracy. Guest Blogger Tom Schedler is the La. Secretary of State.